December approaches, opening the last stretch of the presidential election campaign that concludes in sixteen weeks’ time, on March 18. What to watch for as President Vladimir Putin holds his December meetings with the oligarchs who rule Russia’s future, and the voters who will be the victims of it? As the Russian Orthodox Church has warned, beware the ruler who is pragmatic, and the 16th century Italian, Niccolo Machiavelli – Satan’s finger, according to holy sermons — who teaches rulers not simply to lower moral standards, but to abolish them entirely. Propaganda cannot be the method, the Russian Church preaches; nor hypocrisy the presidential election outcome. However, between propaganda and hypocrisy, that’s what half the Russian electorate thinks is the choice. According to the Levada Centre poll released this week, 42% of voters say the election outcome will make no difference to their lives; 45% believe it might; 13% are uncertain and so distrustful of the pollster they won’t say anything. So how close, or how far from Machiavelli’s model ruler, is Putin the frontrunner, and what does the president himself think of Machiavelli? Machiavelli’s works were unknown in Russia in the 16th century when they were first published in Italy. “The Prince”, which appeared in 1532, five years after Machiavelli had died, was not only banned in Russia through the 17th century; possession of the book in any language was a capital offence. The Russian Church regarded Machiavelli as an agent of the Roman Catholic Church, especially the Jesuits, who were banned and expelled by Peter the Great in 1729. 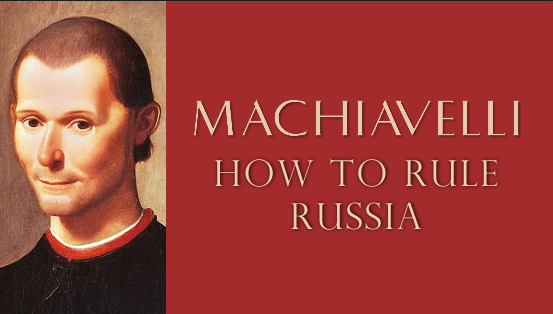 For more of the history of Machiavelli in Russia, read E.A. Rees, Political Thought from Machiavelli to Stalin, Revolutionary Machiavellism, published in 2004. Rees added an appendix taking his history up to the end of Boris Yeltsin’s presidency and the start of Putin’s. Things improved for Machiavelli in Russia in the 19th century. Alexander Pushkin gave him a personal, if passing endorsement. Later, as republican, secular and Marxist ideas began to take hold among Russian politicians and intellectuals, Machiavelli gained in Russian popularity; although as late as 1859, Russian historians and commentators on Machiavelli made do without a Russian translation of “The Prince”. As the revolution approached and the downfall of the Romanov monarchy and Church rule, Russian democrats and revolutionaries supported Machiavelli; monarchists and churchmen opposed him. For a brand-new European assessment of Machiavelli as a nationalist and democrat opposed to state corruption and the abuses of force and fraud to hold political power, read this. Has President Vladimir Putin read Machiavelli or spoken of “The Prince”? Putin has always had a soft spot for Italy and Italian politics. One of his friends, Arkady Rotenberg, has several homes there – in Sardinia and in Rome, plus a Roman hotel. During the rule in Italy of Prime Minister Silvio Berlusconi, his friendship with Putin included overnight hospitality at his residences, which Putin reciprocated by making Berlusconi a gift of a bed, the Putin bed. For the lurid advantage Berlusconi took of that, click to lift the sheets. A search of the Kremlin website for references to Machiavelli turns up just one mention, and it’s a very recent one – a conference of the President’s Council for Civil Society and Human Rights, which took place on October 30, 2017. The lengthy text in Russian and English reveals several challenges to Putin’s personal power, and several put-downs by him. But no reference to Machiavelli can be found. Putin’s press spokesman was asked if the president has read Machiavelli. The question by telephone was requested by email, but there has been no reply. For the least inhibited, most accurate translation into English of “The Prince”, published by Tim Parks in 2015, click to open. 1.“All you have to do is to eliminate the family of the previous ruler and your hold on power is guaranteed” (page 8). 2.“Take care that no foreign power strong enough to compete with his own gets a chance to penetrate the area” (10). Left: President Vladimir Putin embraces Naina Yeltsina, widow of the ex-president, in the Kremlin celebration of her 85th birthday on March 14, 2017. Right: Putin embraces then-US President George Bush, November 15, 2001. 3.“To help another ruler [the Church] to grow powerful is to prepare your own ruin” (15). Putin embraces Patriarch Kirill, November 20, 2016. 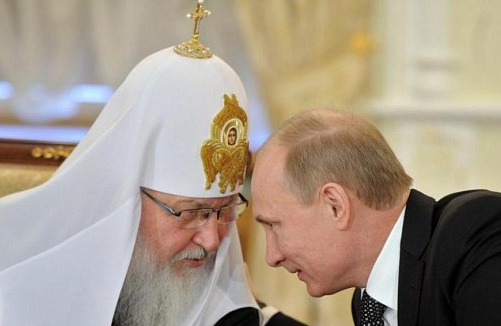 According to Church publications, Putin has said that Kirill’s father baptized him in Leningrad in 1952. The ceremony was kept secret, Putin has acknowledged, from his father, an atheist. For details, click. 4.“The main foundations of any state… are good laws and good armed forces…since you can’t have good laws if you don’t have good armed forces… if you have good armed forces good laws inevitably follow…” (48). 5.“A ruler then must never stop thinking about war and preparing for war and he must work at it even more in peacetime than in war itself. He can do this in two ways, physically and mentally. Physically, aside from keeping his men exercised and disciplined, he should go hunting a great deal, which will toughen up his body” (58). 6.“Another thing a ruler must do to exercise his mind is read history, in particular accounts of great leaders and their achievements. He should look at their wartime strategies and study the reasons for their victories and defeats so as to avoid the failures and avoid imitate the successes” (59). 7.“[The ruler] should take on the traits of the fox and the lion; the lion can’t defend itself against snares and the fox can’t defend itself against wolves. A ruler who just plays the lion and forgets the fox doesn’t know what he is doing” (69). 8.“You’ll be held in contempt… if you’re seen as changeable, superficial, effeminate, fearful or indecisive. So a ruler must avoid those qualities…” (72). 9.“I don’t think factional divisions ever really improved the situation” (83). 10.“Nothing wins a ruler respect like great military victories and a display of remarkable personal qualities” (87). Left: Russian and Syrian troops at the Hmeymim airbase, northern Syria, hold a Victory Day parade, May 9, 2017, to mark the Soviet defeat of Germany in the war of 1941-45. 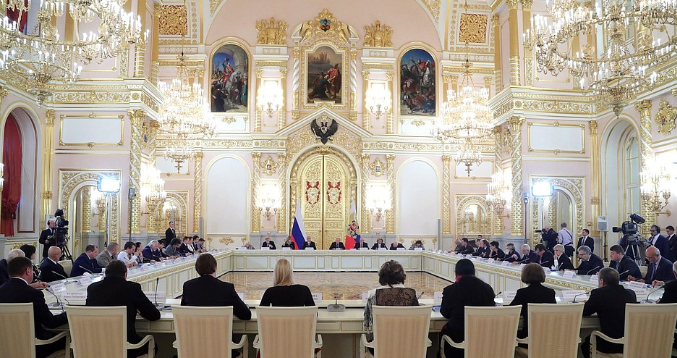 Right: Putin hosts the Direct Line television programme between April and June every year. More than two million messages are sent into the studio, and Putin speaks for over four hours. 11.“A ruler will also be respected when he is a genuine friend and a genuine enemy, that is, when he declares himself unambiguously for one side and against the other. This policy will always bring better results than neutrality… Indecisive rulers who want to avoid immediate danger usually decide to stay neutral, and usually things end badly for them” (89). 12.“A ruler must also show that he admires achievement in others… What’s more, he should reassure his subjects that they can go calmly about their business…without worrying that if they increase their wealth they’ll be in danger of having it taken away from them, or that if they start up a business they’ll be punitively taxed” (90). 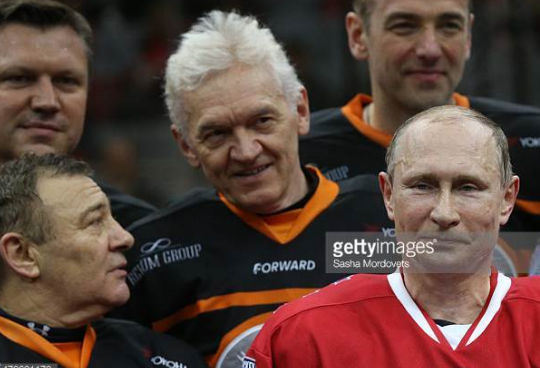 Night hockey match in Sochi, May 16, 2015: Putin, who scored 8 goals, with the oligarchs, Arkady Rotenberg (left) and Gennady Timchenko (centre). 13.“The only way to guard against flattery is to have people understand that you don’t mind them telling you the truth. But when anyone and everyone can tell you the truth, you lose respect. So the sensible ruler must find a middle way, choosing intelligent men for ministers and giving them and only them the right to tell him the truth, and only on the issues he asks about, not in general. However, the ruler should ask his ministers about everything and listen to their opinions, then make up his mind on his own, following his own criteria” (93). Until Putin himself responds to the question of whether he has read “The Prince”, and what he makes of it for the governance of Russia today, he has proved two of the rules – Number 5 and Number 10. That’s a lot of learning left for the president after he is re-elected next March. But is there time enough?